We are offering MCC Panel. 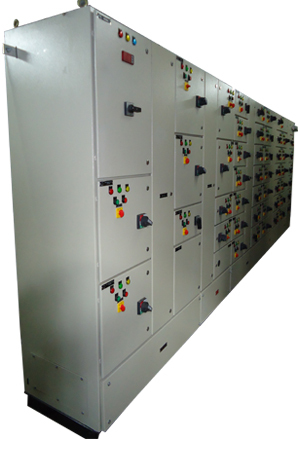 we offer mcc panel, a device that is used to control and actualize the performance of an electric motor. These are offered in a wide variety such as fully draw out non draw out type compartmentalized non compartmentalized single front double front operated. It is equipped with acb mccb sfumcb, dol, ats or star delta starters for automatic manual means of starting and stopping the motor. We provide facility to operate from localremote dcs from mcc. Common protections provided in mcc are over load, short circuit, single phasing etc and special features we can add are earth fault, reverser power, under load, over and under voltage etc. We also offer intelligent mcc which can communicate with plc, can be start and stop from scada, you can measure its power parameters from control room.